Latin is a core subject for students in fourth to eighth grade. Saint Ignatius Loyola School is in compliance with the programs foreign language requirements. Latin develops and reinforces an understanding of the English language and lays the foundation for further language studies. The grammar and Latin teachers collaborate to demonstrate the supportive connection between the two languages. The curriculum emphasizes declensions, vocabulary and translations, as well as the study of Roman history and Greek mythology. Seventh and eighth grades students study Latin five days a week in 45 minute periods. 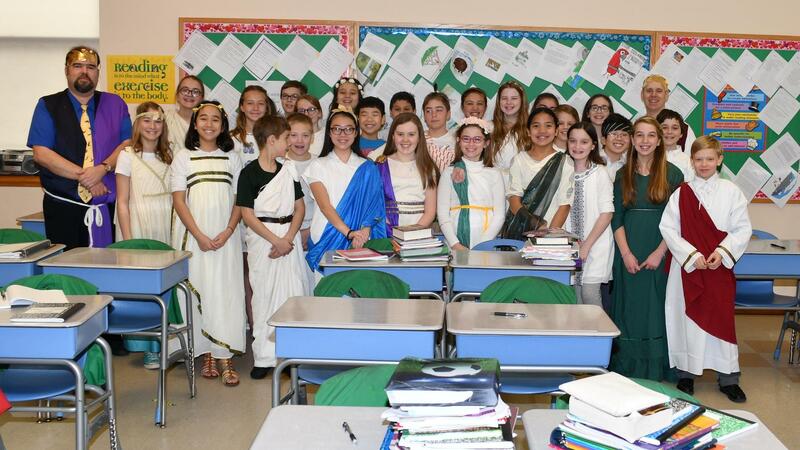 Every spring, the seventh and eighth graders take the National Latin Exam.